Here are 5 reasons you may be wrong. You and I know something pretty important about your website – you need it to convert more bookings. 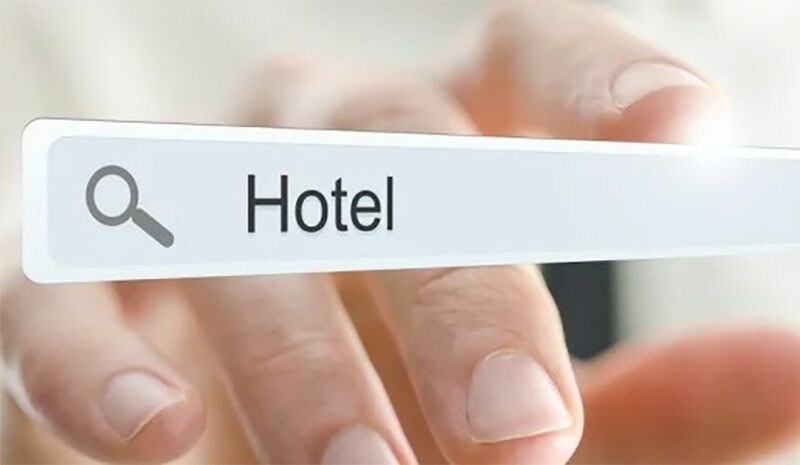 If you’re like most independent hotels and resorts, you’d really rather guests book directly through your site than share a bunch of points with the omnipresent OTAs. And, you want potential guests to have a great experience with your brand online. And, you likely also hired a good travel copywriter to craft brand-appropriate messaging – “warm, azure water lapping at your feet” anyone? – all designed to entice prospective guests. But, are you 100% sure that your website is fully optimized to attract the right kind of guest and, more importantly, get them to click on the “Book Now” button? Find out if your website is a salesperson or a brochure! Here are 5 areas to consider so your site is fully optimized. Ranking, Search Volume, Traffic Levels – When it comes to SEO, we are all obsessed with the numbers. That’s why it’s so tempting, when we choose target keywords, to select those with the highest search volumes. Those terms at the top of the list with a huge number of searches per month seem like the logical first choice, don't they? But, the thing is, now that Google’s algorithms have become more “human”, the intent behind the keyword is much more important than a keyword’s search volume. Think about, it, content has to be relevant but also satisfy the user’s intent in order to convert well. For example, if a user types in “Hilton” on their mobile device, they are likely looking for the nearest Hilton Hotel, rather than the Hilton Worldwide headquarters in Virginia. In order to deliver a great experience for your guests online, we need to remember about intent at the different stages of the Customer Journey. A guest that is researching their destination may use highly popular terms, but is not yet ready to buy. These folks may not even be aware of your hotel’s brand name – what they need is to find more info about the surrounding area. The smart move here to provide content asset (an article, video, infographic, etc.) that showcases the attractions offered in your area. If the asset is high-quality, you can “gate” it and use it as a Lead Magnet in exchange for the searcher’s email. Using intent-based optimization you can identify the primary topics and questions that people are looking to answer when searching for a specific term, and then create content that addresses the user’s needs. This creates a better user experience for your potential guests and increases their trust in your brand. If a potential guest types “Banquet Room” in a search query what do you think they are really looking for? Of course it can be a corporate meeting planner, but it can also be a person looking to book a family reunion or a bride-to-be planning her wedding. You wouldn’t serve up the same content to these three very different people, would you? Each of these potential guests (personas) has the same intent – that is to find and book a hotel with banquet facilities. But, their needs are quite different. So, how do you determine context for different personas? Think about all the different reasons why a guest may want to book a specific amenity in your hotel. Interview your group sales and call center personnel, do a little online research and don’t forget to use common sense based on your own business experience. Then, create an Intent/Context Keyword Planner. Make sure you have enough content to address the needs of each persona directly. Don’t just have one page describing your banquet hall – make sure you have content that speaks directly to the meeting executive, the family party planner and the bride. Having specific content targeted at the intent of a searcher leads to more conversions on your site. What good is having a website, and spending money sending traffic to it if it does not result in new leads and customers? Today, many marketing teams are structured to drive more and more traffic to the website, but simply ranking high in Google or achieving more traffic does not necessarily mean more conversions. This is where Conversion Rate Optimization (CRO) comes in. Unlike SEO, which focuses on improving the visibility of your website and increasing traffic, CRO focuses on increasing conversion rates to grow your email database and online revenue. and other landing pages – and all of these can be optimized for a higher number of conversions. The process of Conversion Rate Optimization should be ongoing, testing elements of your web pages such as headlines, subheads, content, images and calls-to-action to find out what provides higher conversion. CRO relies on user data to actively improve your web visitor’s experience and the likelihood of conversion. Create some text-based Calls-to-Action (CTAs) within blog posts – these are standalone lines of text linked to a landing page and styled as an H3 or an H4. Why? The phenomenon of “banner blindness” is very real as people have become accustomed to ignoring banner-like content online. In our tests, we have seen up to 93% of a post's leads came from the anchor text CTA alone. Include Lead Flows on your website – these are high-converting pop-ups designed to attract attention and offer value. You can select from a slide-in box, drop-down banner or pop-up box, depending on your offer. Just make sure the offer is compelling and there are no more than 3 fields to fill out. 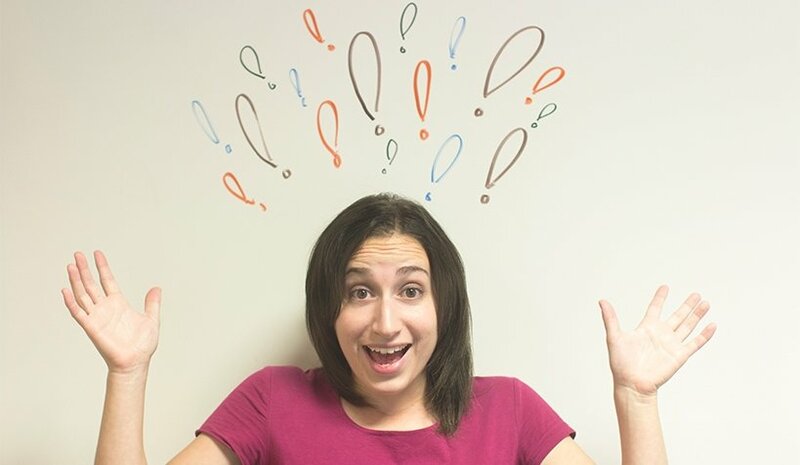 A/B Test your Landing Pages – if you are running a traffic campaign to a specific page, you can test elements such as headline, copy, content offer, image, form questions, and page design. Just make sure to test only 1 element at a time so you are sure of what made the difference. When performed consistently and well, CRO maximizes the effectiveness of your SEO, email and content campaigns. Using Conversion rate Optimization, you can drive more results from your traffic so your content can work smarter, and not harder, for you. Picture this: You are thinking about your next vacation, but are unsure of the destination – you know you want to be close to the ocean, so you type in “beaches in Key West” – you see a great-sounding result about a sand beach (rare in the Keys, I know! ), but when you click on it, the page is a generic hotel page with a huge “BOOK NOW” button staring at you. You were looking for guidance and information but instead you got a hard sell. How does that make you feel? Everything we do to increase the growth of our Client’s online presence is rooted in the Customer Value Journey (CVJ). For the uninitiated, the CVJ is a framework that details the natural progression of a potential customer (guest) from awareness of your brand, through consideration and purchase decision, to raving fan. Just like it would be highly inappropriate to ask a new acquaintance to get married on your first date, you can’t assault your prospects with a heavy sales pitch right off the bat. By giving website visitors the right content at the right time, you create a much more satisfying experience and boost your chances that they will convert. How does this look in real life? This is a great time to get them to convert into a lead by providing useful, information and free content that will be of value to the potential guest – you exchange this “Lead Magnet” for their email if the content is high quality and valuable. Blog posts, social media updates and infographics are three additional types of content that work well at the Aware stage. Consideration Stage: Here, your potential guest knows what they want and they are choosing between you and your competition. Help nudge them in the right direction with assets such as reviews and testimonials that demonstrate how others like them have been wowed by your property and service. Some clever marketers provide Comparison charts or other visual tools that show your audience in a clear and immediate way the advantages of your amenities over your closest competitor. The key is to make your website visitors feel comfortable with your brand before they take the step of booking your hotel. 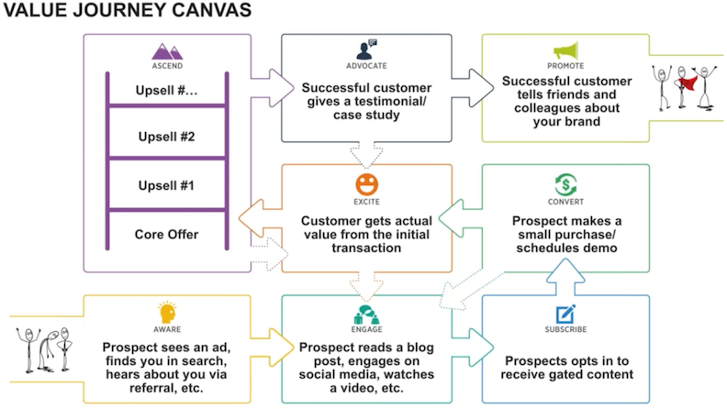 Of course, there are other steps in the Customer Value Journey, and you learn more in detail how to optimize your entire funnel on our CVO (Customer Value Optimization) Pillar page here. When all steps along the journey are optimized, you create a great online experience for your potential guests, leading to higher conversions. When you think “Search” you usually think of Google, right? While Google is the of course the biggest search engine, a huge number of travelers and potential guests use TripAdvisor (the world’s largest travel site) as a search engine to research and discover destinations, hotels, attractions and of course, reviews. 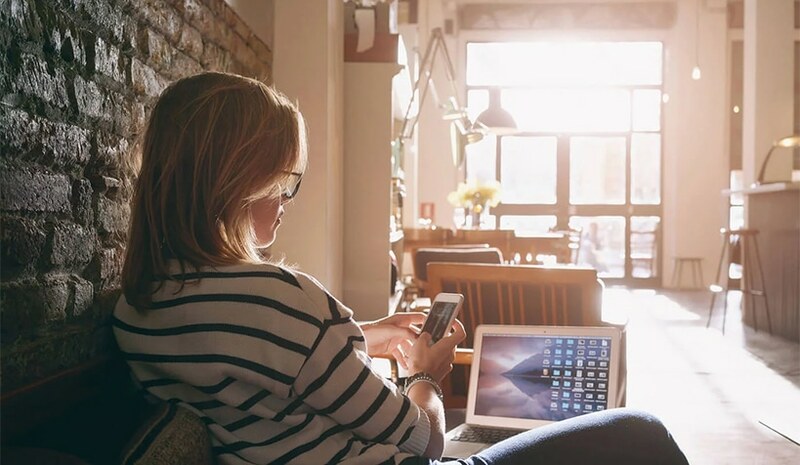 Your listing on TripAdvisor is a great opportunity to connect with potential guest, and optimizing your listing can help give your business an edge over your competition. First things first, make sure you “own” your listing and that all of the information on your listing is accurate and up to date. You’ll need to Register as an Owner if you have not already done so. Don’t forget about updating contact information such as emails and website links. It’s highly recommended that you have an actual staff member’s contact info as the official representative of the business, to ensure that users have someone to contact with any question. Make your listing unique by adding descriptive copy about your property, amenities, seasonal activities and especially all the things that make you different from your competition. Remember to add lots of photos, as these help potential guests know what to expect. Did you know that a recent Phocuswright study found that listings with 30 or more photos have a whopping 41% more traveler engagement than those with 10 or fewer? Promote your listing and encourage reviews. The more reviews your property has, the higher you will rank in TripAdvisor search and the more content there is for travelers to engage and motivate them to choose your business. It’s important that the reviews are fresh to keep them relevant. A great way to promote your listing is to add the TripAdvisor widget to your own website. Here’s how to do that. 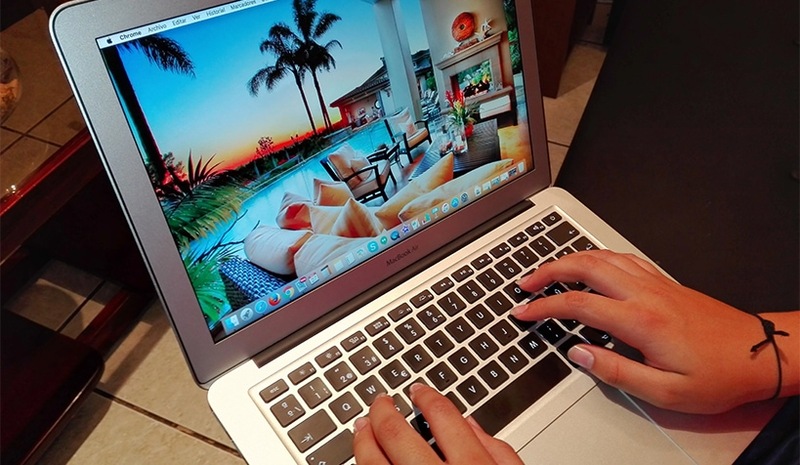 These Widgets can help you showcase your reviews and encourage guests to write new ones. Finally, you can remind your guests to write reviews after their visit by using a follow up email or TripAdvisor’s “Review Express” platform. Make sure to monitor and reply to comments – doing this regularly will differentiate your property and give your hotel a competitive edge. So there you have it, 5 ways you can make sure that your website is fully optimized and working its hardest to provide you with leads and bookings. Which ones will you tackle first? Drop a line and let me know!